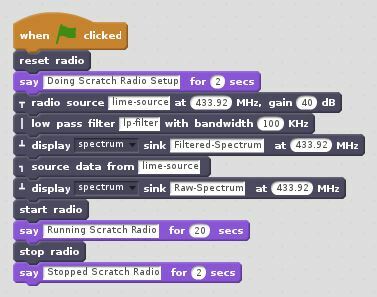 All Scratch Radio programs will have the same underlying structure consisting of two distinct phases. 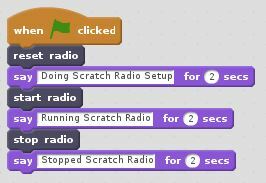 The radio setup phase is used to configure the way the radio will operate by connecting various radio blocks together. 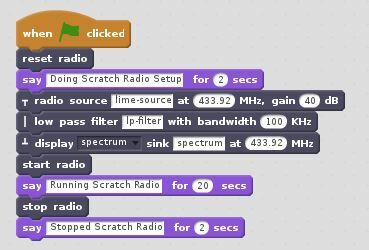 The radio operation phase then activates the radio and allows the radio to transmit and receive radio signals as required. Note that the stop block halts radio processing but leaves the radio configuration specified in the setup phase intact. 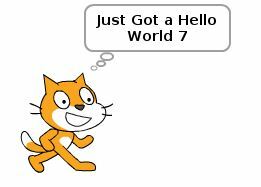 This means that any GUI windows associated with the configuration are left open and the radio can be restarted by using another start block if required. If this behaviour is not required, the reset block can be used instead of the stop block. This will cause the radio processing to be halted and the radio configuration together with all associated GUI windows will be discarded. Source This icon is used to indicate that the flow graph block is a data input. 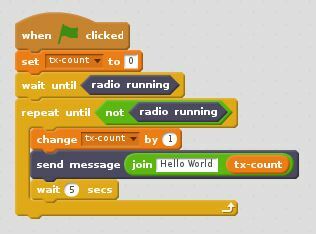 When the radio is active, data will be received from some external data producer and emitted at the output of the block. Sink This icon is used to indicate that the flow graph block is a data output. When the radio is active, data will be accepted at the input to the block and emitted to some external data consumer. Process This icon is used to indicate that the flow graph block is a data processing block. When the radio is active, data will be accepted at the input of the block and processed, with the transformed data being emitted at the output of the block. Tap This icon is used to indicate that the flow graph block taps into the data being produced elsewhere in the flow graph and replicates it at the output of the block. Each flow graph block is assigned a name which is used to refer to the block elsewhere. Names must be unique for a given radio configuration and must not contain any spaces. In the case of the preceding example the data source is called lime-source, the low pass filter block is called lp-filter and the spectrum display is called spectrum. In conjunction with the data flow tap block, this allows the output of a named block to be replicated so that the same data source can be used in two parallel data flows. 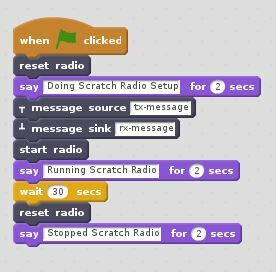 Note that since Scratch Radio is at an early stage of development, error checking for duplicate block names and invalid block parameters or connections is not supported within the Scratch environment. Therefore the logs from the GNU Radio terminal window should be used as an indication of whether a given radio configuration contains errors.